Home All Articles Bahrain Grand Prix postponed – official. Bahrain Grand Prix postponed – official. The Bahrain Grand Prix has been cancelled amidst safety fears following escalating violence in the Gulf state. The start of the new Formula One season has thus been pushed back to March 27th in Australia. With teams slated to test in Bahrain on the weekend preceding the race a decision was required immediately so as to allow freight to be shipped to the venue. This has prompted F1’s powerbrokers to scrap the event. “We felt it was important for the country to focus on immediate issues of national interest,” the Crown Prince, Salman bin Hamad Al-Khalifa, is quoted as having said. As such the season will open in Australia – as it did between 1996 and 2005 and again between 2007 and 2009 – at the Albert Park circuit in Melbourne. Photo: Drew Gibson/GP2 Media Service. And with protests and violence remaining in the country F1 and Bahrain’s ruling family was left with no choice but to call off the grand prix. It is not currently clear when the race will be run, if at all. The 2011 calendar is a packed one, with a record twenty races scheduled before Bahrain was postponed. If the current unrest doesn’t die down it is difficult to see the race being held before August, and even then it would require placing it in F1’s summer break – a hugely unlikely scenario. It could run following the Brazilian GP, currently set to be the last of the season, which is slated to run over the weekend of November 26-27, but this mean pushing the end of the campaign back to early December. 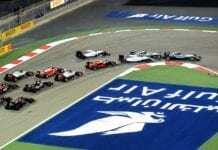 As such it seems unlikely F1 will visit Bahrain in 2011. Previous articleNick Heidfeld – the quiet man’s time to shine? Next articleBarcelona Test – The news, The times and the photos.